It is with batteries that the electrons are stored that make the vehicle move. Roughly speaking, the number of electrons you can store in the vehicle determines how far it will go. The angst of batteries in electric vehicles is the speed and range characteristics you can get in the vehicle using the battery technology available. The common battery technology, lead-acid batteries, have been in use for nearly 200 years and have changed relatively little in that time. By contrast think of the changes and improvements the internal combustion engine has seen in that time. 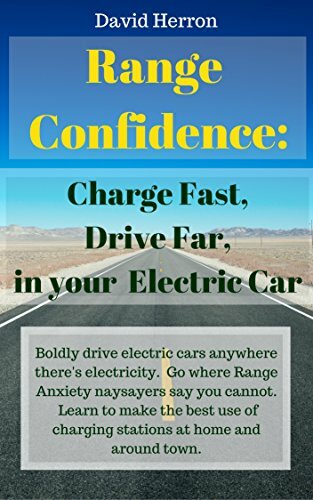 In the late 1800's, in the infancy of the automobile, internal combustion engines were so unreliable that the most popular cars were electric, due to their ultra reliability. Fortunately lithium ion batteries are becoming popular enough to displace lead acid, but both are far less energy dense than gasoline and that is a core factor of the relative attractiveness. When I said "the number of electrons you can store" what that meant is the number of kilowatt-hours. For a given vehicle, it can safely carry a given cargo, and that cargo must be split between battery weight, vehicle weight, and passenger weight. Hence each vehicle has a given budget of weight it can carry, and it's up to the vehicle designer to choose the tradeoff's of weight to driving/riding range and speed. That page discussed energy and power density two ways: Weight and Volume. The "budget" in designing a vehicle is actually two budgets: Weight and Volume. The battery pack must be within a given weight AND a given size. For example a battery might have great energy density (e.g. 1000 kilowatt-hours/kilogram would be a fantabulous energy density today) but be made of stuff that is very large for the weight (that is, kilograms/liter). A concrete example is hydrogen storage for a fuel cell, where hydrogen has a great energy density per kilogram but is the least dense element in the universe hence has a low volumetric energy density. As a result fuel cell vehicles have to consider some way to compress hydrogen e.g. at 10,000 psi.